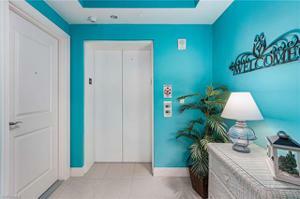 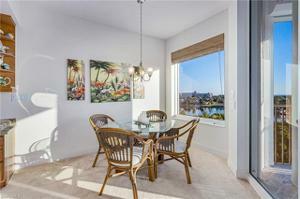 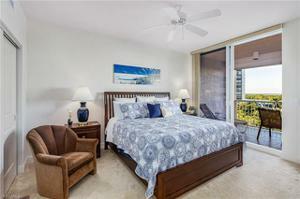 Gorgeous water views with lush tropical landscaping from both lanais of this bright and cheery condo. 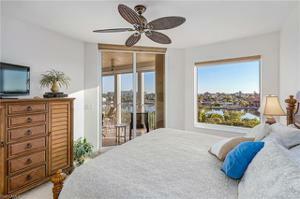 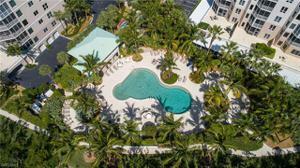 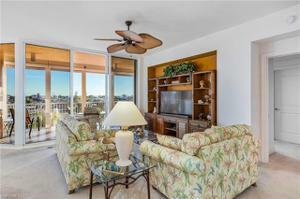 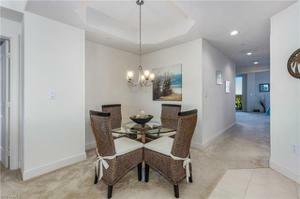 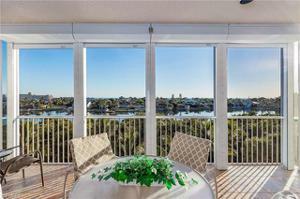 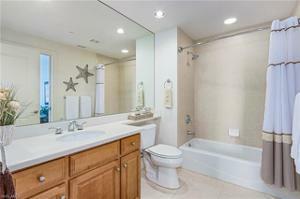 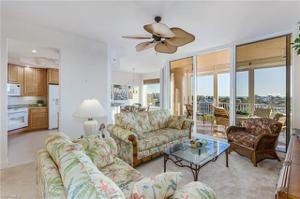 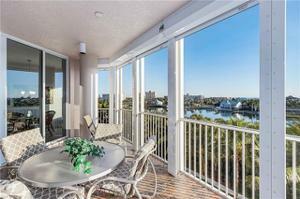 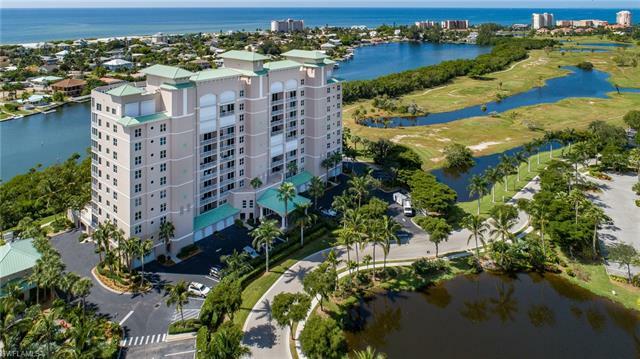 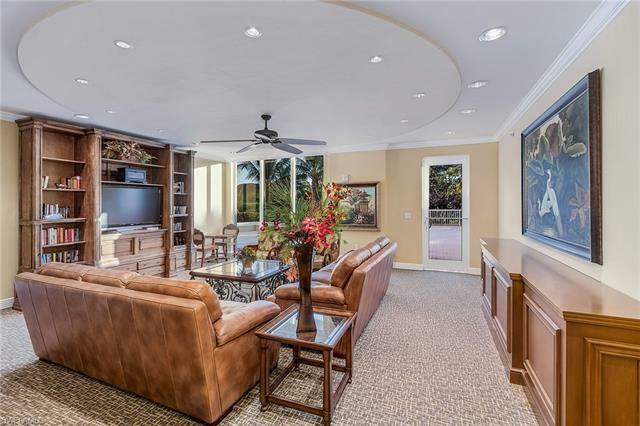 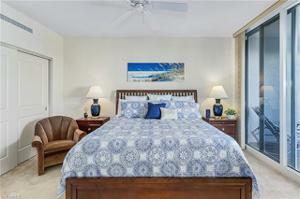 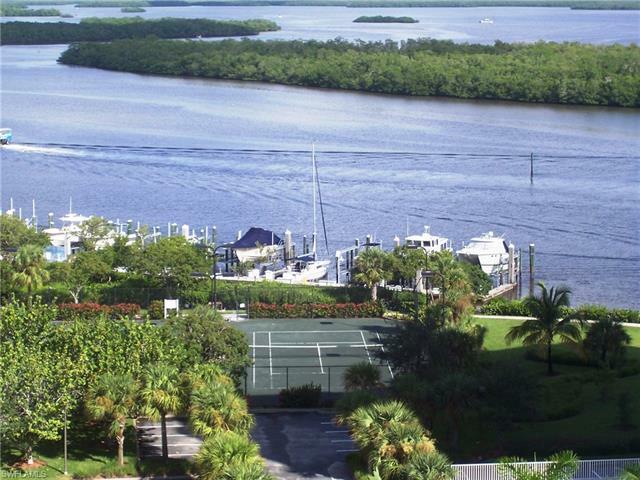 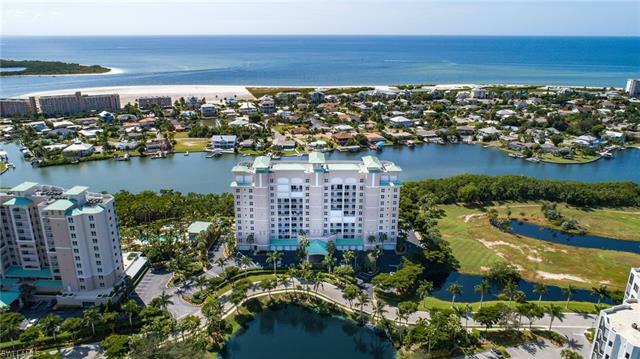 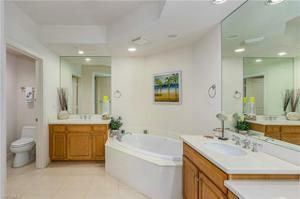 Desirable gated community on the south end of Ft Myers Beach with easy access to Naples & Bonita Springs. 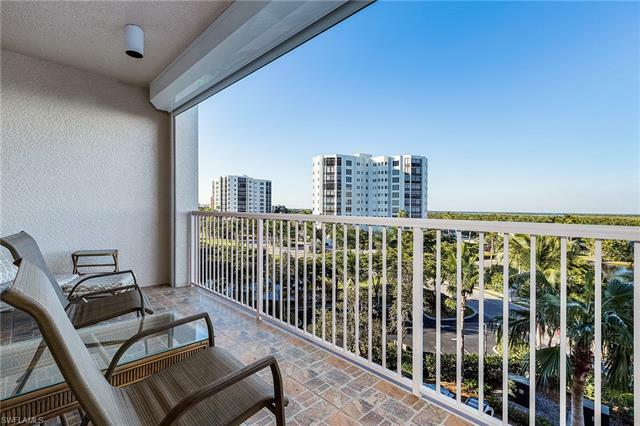 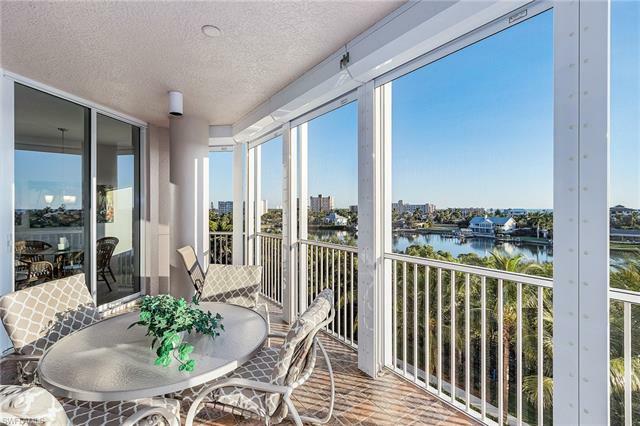 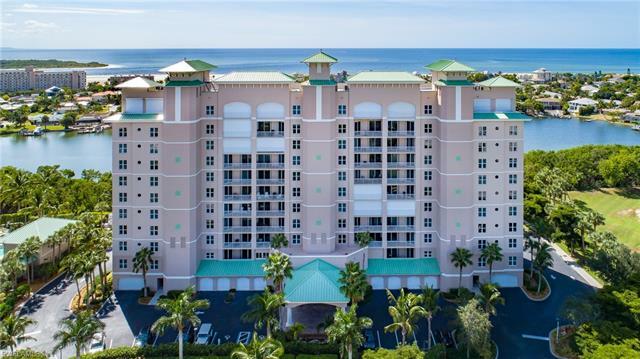 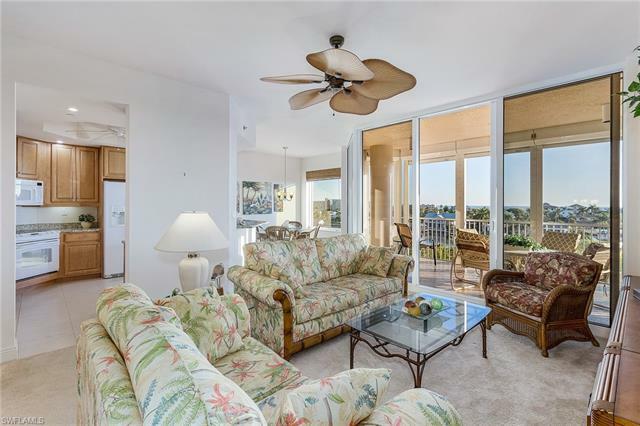 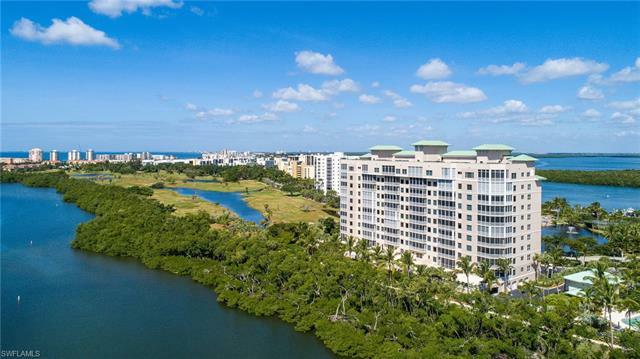 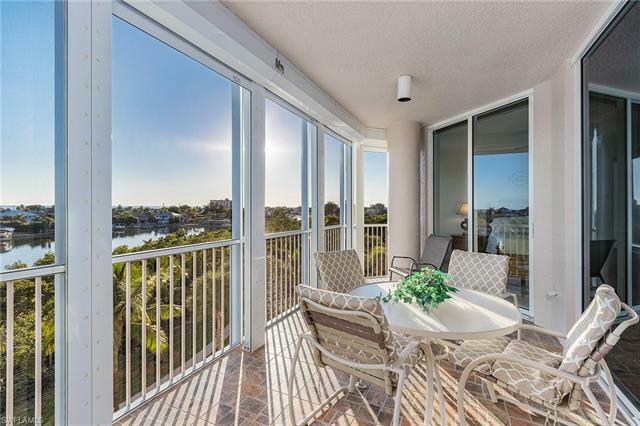 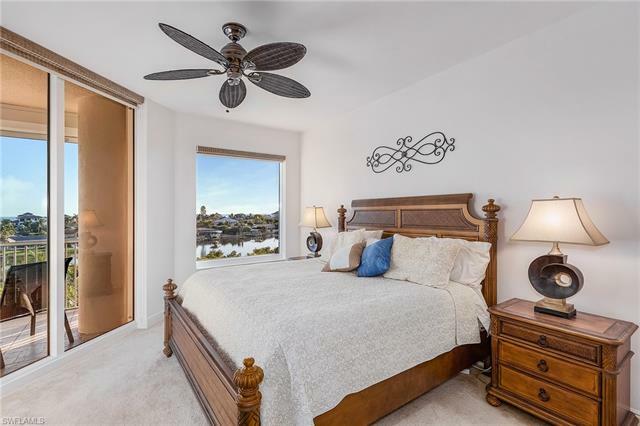 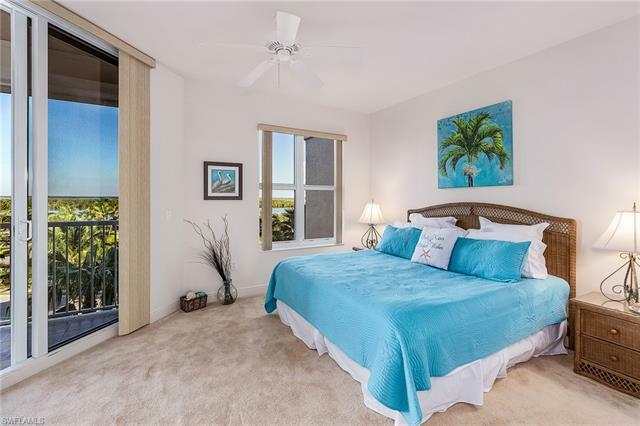 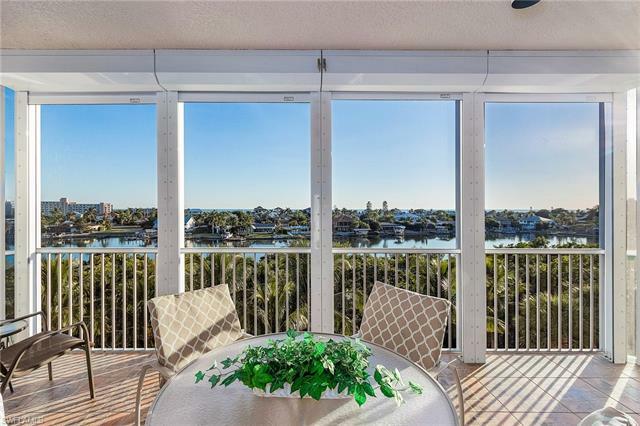 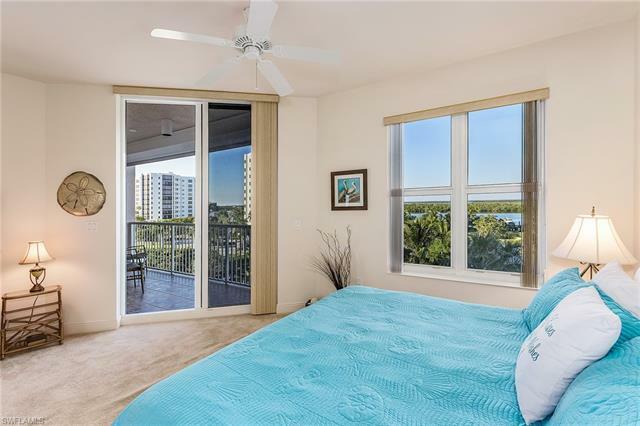 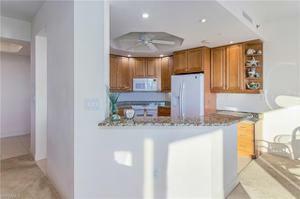 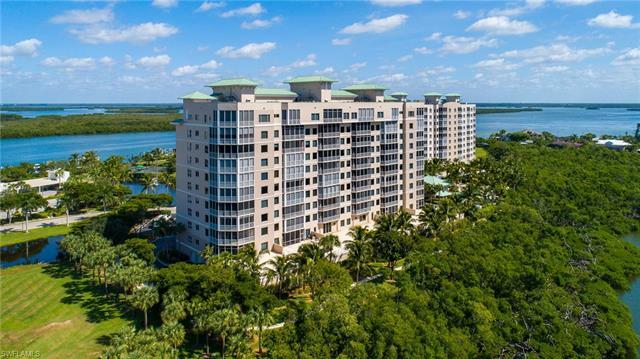 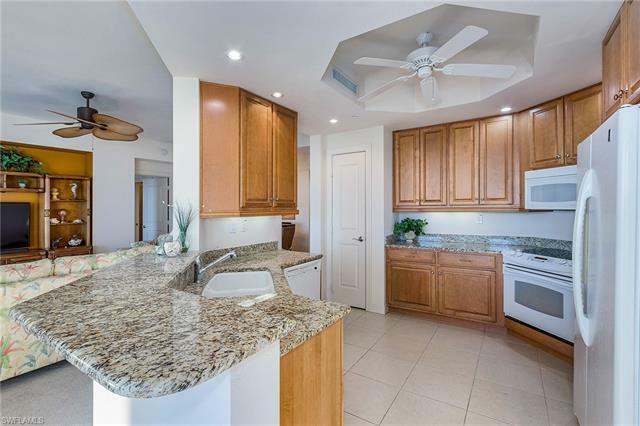 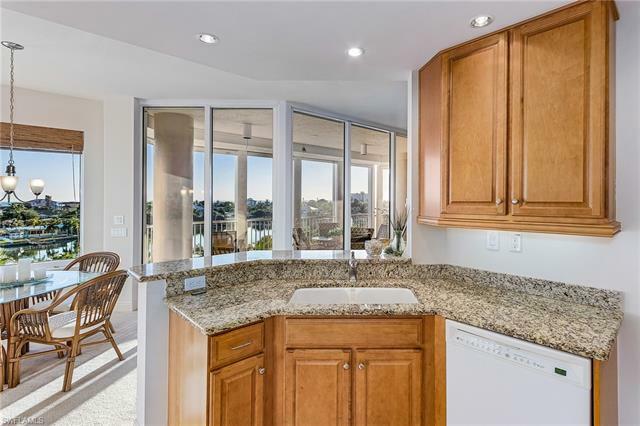 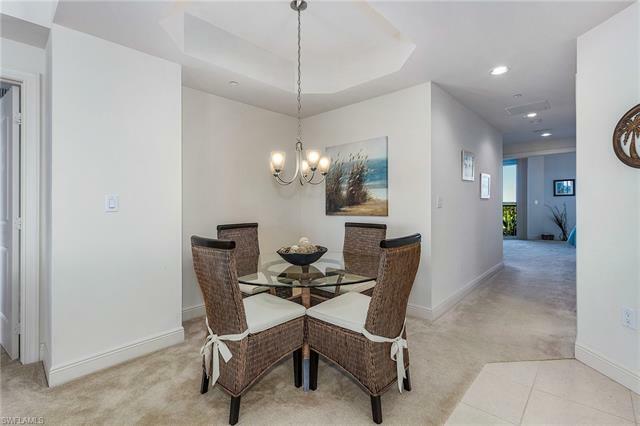 Your secure private elevator opens to your 3 bedroom 2 bath 5th floor condo with tropical furnishings, electric shutters on the spacious lanais, impact glass on windows & sliders. 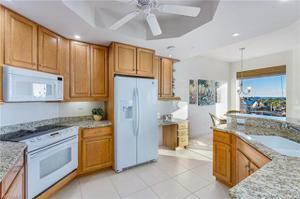 The kitchen has wood cabinets and granite counter tops. 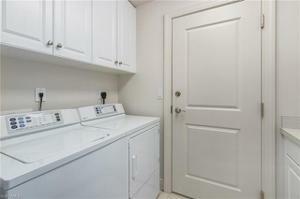 There is secured under building garage parking with remote entrance door. 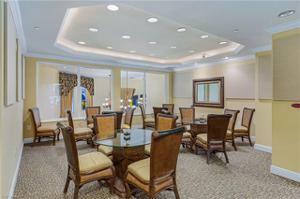 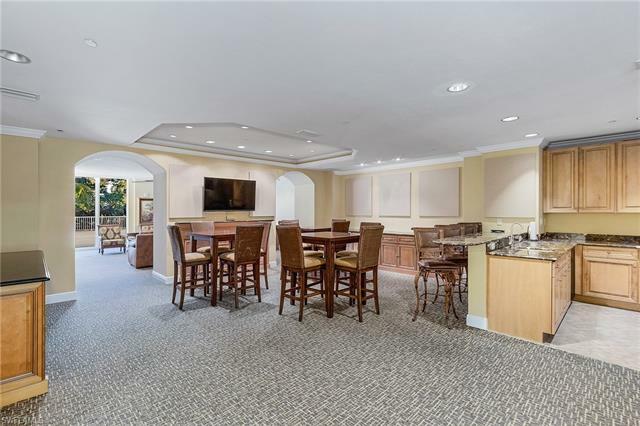 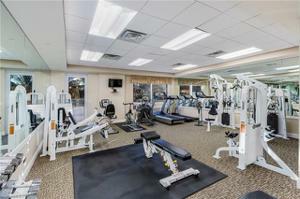 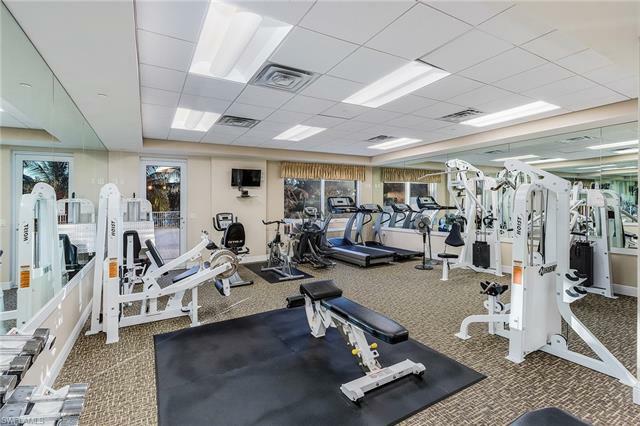 This Waterside community building has a sauna & steam room in the locker room, fitness room, guest suites, resort style pool & hot tub, grilling area & community room. 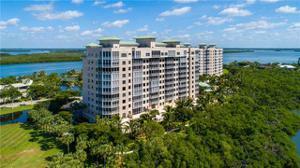 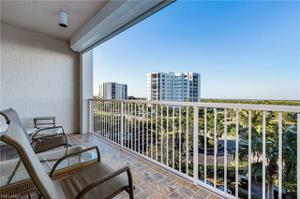 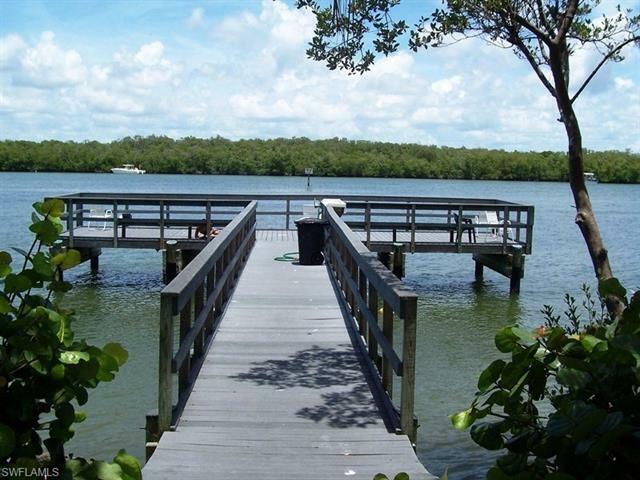 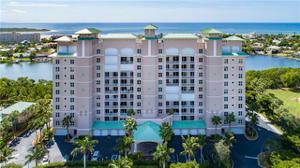 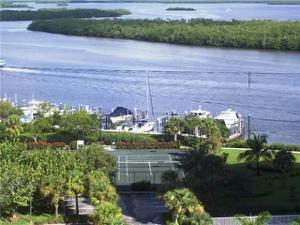 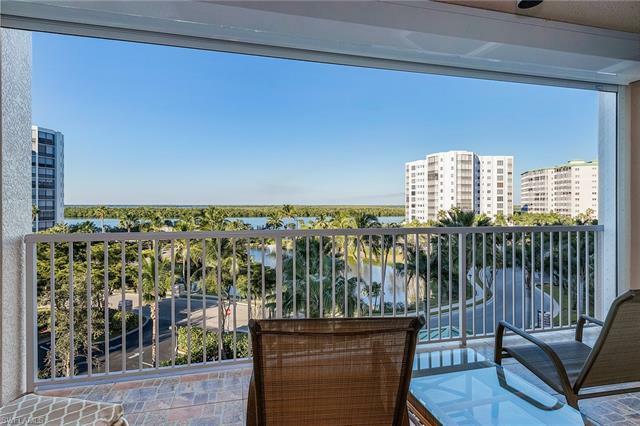 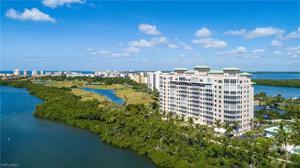 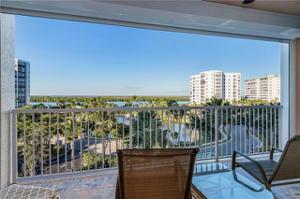 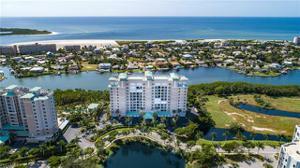 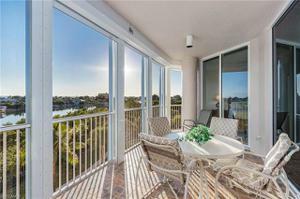 Beach access, Close to Lover's Key State Park, Plaza with restaurants, shopping & marina close by.